Cherish Each Precious Day: Happy Birthday!!! Isn't this cute? The cupcakes are simply a wide ribbon that I found locally. Well, friends - thanks so much for dropping by to say hello! have loads of things to catch up on! See you soon! 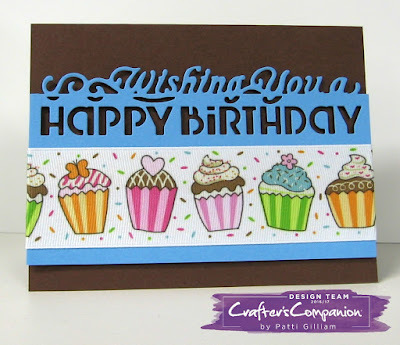 This was one of my favorite cards we made that day - talk about easy but does it make a statement. Glad you posted. 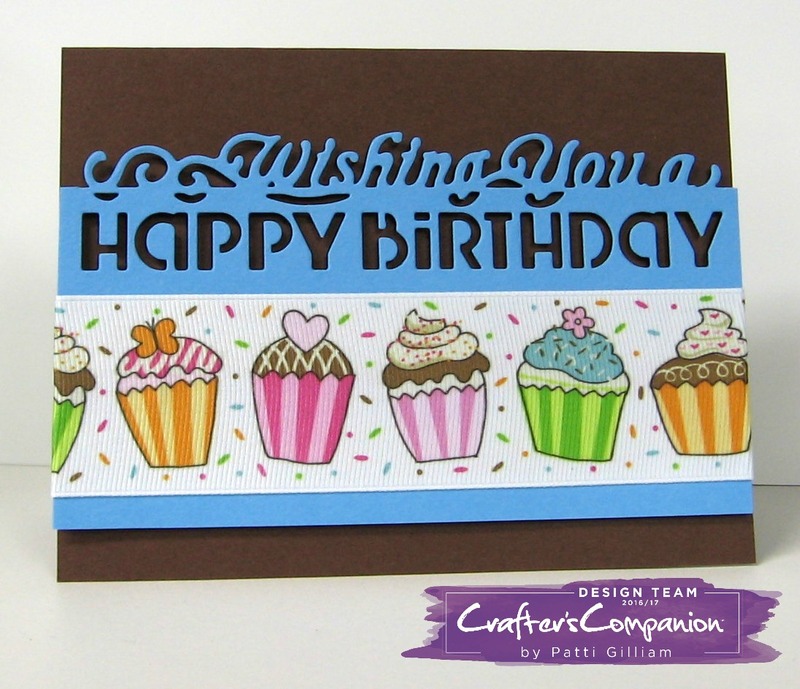 You certainly made a wonderful quick card for that lady's birthday. I bet she loved it too! So adorable!!! Love the die. We leave next weekend to get our hugs from the grands....I can't wait!!! It's been such a long time since we saw them last July!!!! What a fun and yummy Birthday card! The cupcakes are so sweet!! Cute card! Like that die! Oh for goodness sakes, wide ribbon. What a unique idea. Love that die. Very cute card. Fabulous birthday card! I bet she loved it. What a SWEET card Patti. Those colorful cupcakes are so cute! I also love the die-cut word strip. So elegant. The colors show up really nicely with the black base. Great design.